The HMS PTO will be hosting a color run for students at the following times on Friday, May 10th. 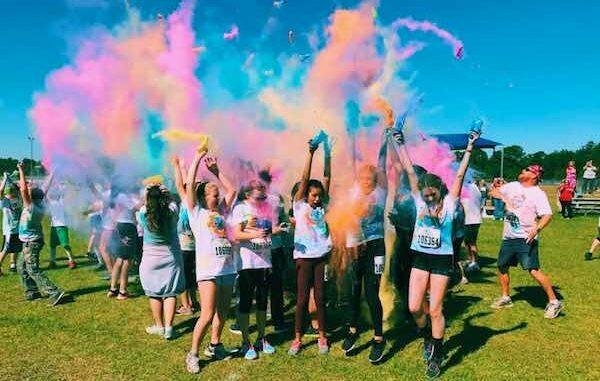 Students that pay to participate in the color run will run/walk through a course with a starting and finishing line, 4 color throwing stations (where adults will shower them with color) and at the end of the run/walk all students will be given one individual color packet for the “color celebration”. No students will be allowed to pay to watch or participate after Tuesday, May 7th. This is because we have to have an accurate count of students in advance to ensure we have enough sunglasses and individual color packs. Registration forms are being send home on Thursday, April 4th and are also posted under "latest news" on our website.